An exceptional lawyer with a brilliant mind. Pete is a human rights barrister who practices domestically in public inquiries, inquests, criminal, public, prison and police law. He is a both a trial and appellate lawyer. Pete has appeared at all domestic court levels and before the European Court of Human Rights, including the Grand Chamber. He specialises in cases involving miscarriages of justice, freedom of expression, extradition and ‘terrorism’, and he has a particular expertise in statutory interpretation. Pete represented Reggie Kray (parole), Robert Brown (conviction quashed after he had served 26 years of a life sentence for a murder he did not commit), and Michael Shields (the football fan wrongly convicted of attempted murder in Bulgaria, who is the only person ever pardoned with respect to a foreign conviction). Pete also practices internationally. He has appeared or advised in matters relating to Bulgaria, Japan, Spain, Mauritius, and the Maldives, and has pro bono international human rights experience in matters relating to the US, Kashmir, Bahrain, UAE, Turkey and elsewhere. Pete led the team representing 22 of the bereaved Hillsborough families at the new inquests, and continues to act for them in a number of matters, including their campaign to get the Public Authorities (Accountability) Bill 2017 (Hillsborough Law) enacted. He was one of the drafters of the Bill which seeks to provide a lasting legacy and prevent what happened to the families happening again (see www.thehillsboroughlaw.com). Since the conclusion of the Hillsborough inquests, Pete has appeared for the partner of Anthony Grainger at the Public Inquiry into his death (a police shooting) and advised lawyers for the victims of the Grenfell disaster. He has appeared and advised in a number of criminal, prison and human rights cases in Mauritius, undertaken pro bono international human rights work for the Bar Human Rights Committee, particularly regarding Turkey and Bahrain, and he is currently instructed in a number of murder trials. Pete was founding member of Garden Court North Chambers and, although he has always practised from Manchester, he is also a door tenant at Garden Court. Pete is a member of the Executive of the Bar Human Rights Committee. In addition to leading the team representing 22 of the bereaved Hillsborough families at the new inquests, Pete represented the family of Jessie James, a 15 year old brutally gunned down in Manchester in 2006, and has appeared for families at many inquests and public inquiries into custody deaths. Pete appeared in the Abergele cyclists inquest (2007) (four members of the North Wales Cycle Club killed by a skidding car). He is often instructed by Trade Unions in this area of work, particularly in work related deaths. Pete undertakes judicial review of inquest decisions and rulings, and appeared for the family at the Public Inquiry into the death of Bernard “Sonny” Lodge (a prisoner who died at HMP Manchester in 1998), set up following a defective Inquest, and which reported in late 2009. Pete also appeared at all stages of the Middleton case; the landmark case relating to Article 2 and inquest jury verdicts. At first instance, Pete appears predominantly in murder, ‘gangland’, ‘terrorism’ and serious fraud trials. Pete is particularly interested in cases involving civil liberties, human rights, political, prison law, extradition, mental health, and international issues. Pete has a thriving appellate practice including cases involving miscarriages of justice, and cases involving the legality of sentences. He appeared in R v Robert Brown  and represented Michael Shields. He has been involved in a number of Criminal Cases Review Commission referrals. Pete has recently undertaken a number of ‘joint enterprise’ miscarriage cases and is shortly to appear in the Supreme Court in a case involving confiscation orders. Pete also has a High Court criminal practice including appeals by way of case stated and judicial review. Pete specialises in bringing judicial reviews in all of his practice areas, particularly prison law, inquests, public inquiries and crime. He is shortly to appear in the Supreme Court in a judicial review appeal case relating to confiscation orders. Pete has considerable experience in actions against the Ministry of Justice and the police for false imprisonment, malicious prosecution, misfeasance in public office assault, negligence and human rights torts. He has particular experience of cases involving civil liberties, prison, political, extradition, ‘terrorism’, mental health, disaster and human rights issues. Pete has undertaken a series of judicial reviews and civil actions, instructed by Trade Unions, relating to the retention of DNA, fingerprints, photographs and PNC records of wrongly arrested suspects; often teachers and fire fighters against whom workplace allegations are made. Pete has appeared and advised in a number of criminal, prison and human rights cases in Mauritius, and is currently pursuing a case to the UN Human Rights Committee challenging the Mauritius biometric ID card system, under the Optional Protocol to the International Covenant on Civil and Political Rights (ICCPR). 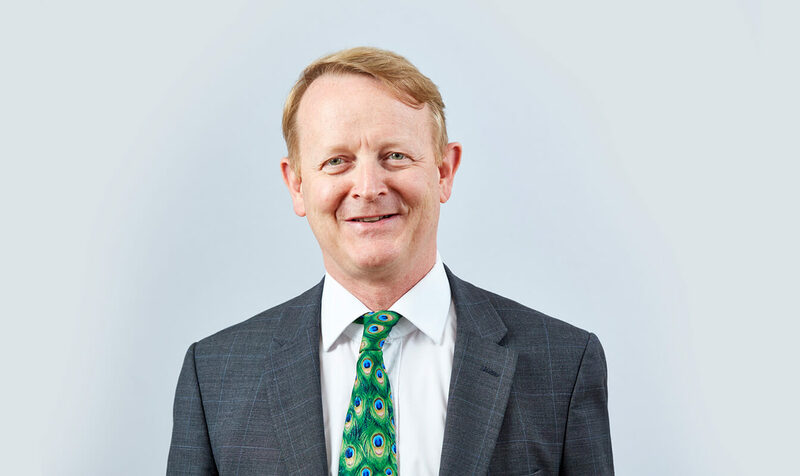 Pete has worked in association with the Chambers of Sanjeev Teeluckdharry in Port Louis, Mauritius and in particular Erickson Mooneapillay of counsel. Pete has also appeared or advised in matters relating to Bulgaria, Japan, Spain, and the Maldives. Pete is on the Executive of the Bar Human Rights Committee, which undertakes international pro bono human rights work primarily with respect to the rule of law and the protection of judges, lawyers, human rights defenders and journalists. Pete has been particularly involved with BHRC projects regarding Turkey and Bahrain and has published a number of reports through the BHRC website: http://www.barhumanrights.org.uk, and articles in the wider media. Pete has also undertaken pro bono work relating to the US, Kashmir, the UAE, and elsewhere. Pete regularly deals with judicial review and applications regarding release dates, parole, adjudications, and prison conditions. He has represented claimants in a number of leading release-date, false imprisonment, adjudication and IPP cases. He also undertakes civil actions against the Ministry of Justice, amongst other actions, for breach of Article 5, assault, negligence and misfeasance. Pete also does some first instance prison work including complex parole cases. He has appeared at all levels in prison law: Adjudications, parole panels, High Court, Court of Appeal, House of Lords and Supreme Court, and the European Court of Human Rights and Grand Chamber (GC). Pete has appeared in three leading prison cases in Strasbourg: Ezeh and Connors v UK  39 EHRR 1 (GC held that having Governors as adjudication judges was a breach of A6 where additional detention was a possibility), James v UK  56 EHRR 12 (ruled that IPP sentences were a breach of A5 where prisoners could not progress), and Vinter, Bamber and Moore v UK  63 EHRR 1 (GC held that Whole Life tariffs breached A3 unless there was a possibility of release). R v Gov of Brockhill Prison, ex parte Evans (No1)  2 WLR 236: Calculation of remand time. 27/9/06 – European Court of Human Rights ruling on motorists’ caught on speeding camera right to silence – BBC Radio Manchester. Pete’s Privacy Notice may be viewed by clicking here.